Below you can view all the townhouses for sale in the Weston subdivision located in Suwanee Georgia. Listings in Weston are updated daily from data we receive from the Atlanta multiple listing service. To learn more about any of these townhouses or to receive custom notifications when a new property is listed for sale in Weston, give us a call at 404-998-4162. Finished Basement W/Kitchen, Laundry Room, Full Bath And Entertainment Area. Must See! MLS#6534526. Georgia Premier Realty Team Inc.. It'S Perfect For Your Family. MLS#6529486. King Star Realty. 19X14 Screened-In Porch & 51'X20' Deck. Expansive, Private Fenced Yard! MLS#6508773. Keller Williams Realty Chattahoochee North, Llc. 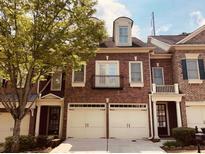 This Desirebale Community In Lambert Hs District Is Close To Restaurants, Shopping And Emory Johns Creek Hospital! MLS#6507122. Harry Norman Realtors. Loft Area Great For Library/Computer- Exterior Painted 2017. Better Than New! MLS#6095545. Atlanta Fine Homes Sothebys Intl..